Sherline CNC-ready mills did not initially incorporate the Z-axis locking lever. It was felt the lock might accidentally be left engaged which could cause problems with missed steps if a stepper motor were engaged, possibly damaging the machine or most certainly ruining the part. 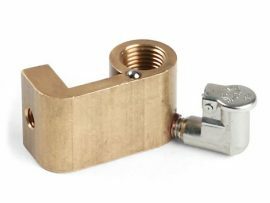 However, excess backlash is a particular problem on the Z-axis for certain 3D modeling and engraving applications where very subtle movements of the Z-axis are required. The normally recommended .003″ to .005″ of backlash was not acceptable in these instances. This modification to the Z-axis locking lever allows adjustable control over the Z-axis backlash, making it possible to reduce it down to as little as .001″. The new arm allows the Z-axis locking lever to be secured in the locked or unlocked position or any position in between to control backlash. 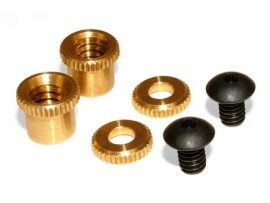 Included is the new lock plate which attaches using a longer bolt that goes through the saddle and into the saddle nut. The lever arm is locked in position using the knurled thumbscrews. In keeping with our goal to make all accessories and improvements compatible with existing machines, any older Sherline mill can be upgraded to add the new Z-axis saddle nut with oiler by purchasing this upgrade kit. 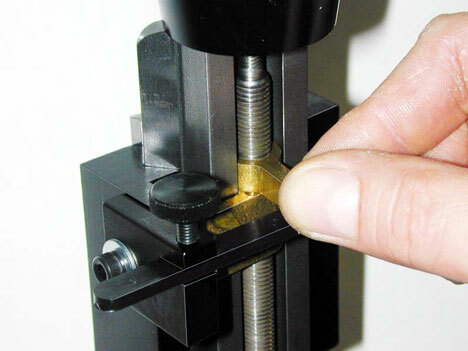 All Sherline mills now include oil reservoirs on the X/Y axes and the Z axis to help keep critical parts lubricated. These were initially developed for CNC machines that run constantly for hours on end but can benefit manual machines as well. The new upgrade is easily installed, requiring no new holes. The saddle nut securing screw is removed and a longer one going through a hole in the locking plate replaces it. A pin on the end of the locking arm goes into a hole in the locking lever. Once the lever is positioned to the desired location removing as much backlash as is preferred, the thumbscrew is tightened, holding it in place. 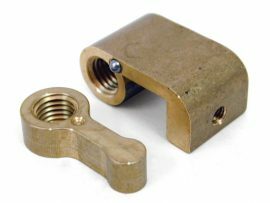 If you are replacing a worn out saddle nut on an older mill, this new system will upgrade the function of your machine at the same time. It can be used on both manual and CNC machines. Even if your saddle nut is not worn out, you might want to consider adding this feature to make locking the saddle easier and more positive.